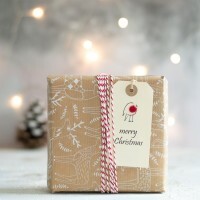 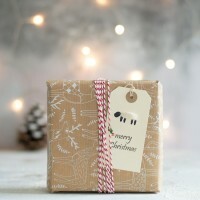 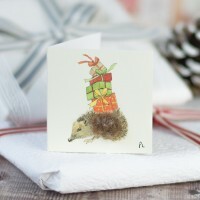 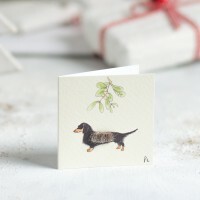 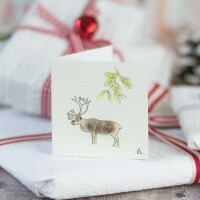 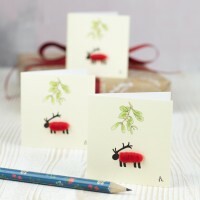 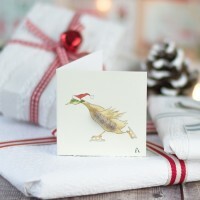 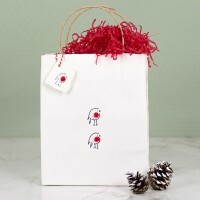 Complete your Christmas gift giving with a selection from our tags, bags and gift wrap range. 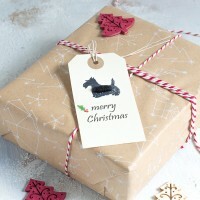 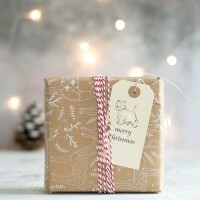 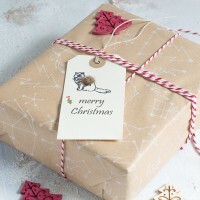 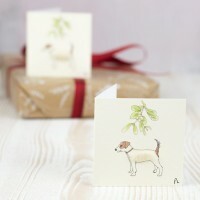 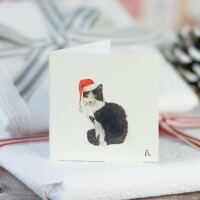 Our Christmas gift tags with a cat are an adorable way of finishing your presents for all ..
Our Christmas gift tags with border terriers are an adorable way of finishing your present..
Our Christmas gift tags with Jack Russell terriers are an adorable way of finishing your p..
Our Christmas gift tags with Scottie dogs are an adorable way of finishing your prese..
For a perfect finish to your presents, add one of our oh so gorgeous gift tags. 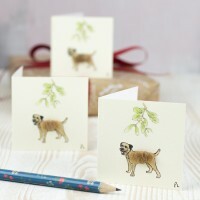 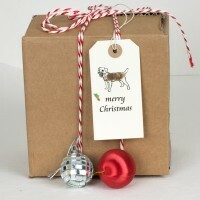 Here we of..
Christmas Gift Tags, fluffy border terriers, pack of 4 For a perfect finish to your presents, add on..
Christmas Gift Tags, fluffy chickens, pack of 6 Gift tags finish off your presents perfectly, so for..
Christmas Gift Tags, fluffy Jack Russells, pack of 4 For a perfect finish to your presents, add one ..
Christmas Gift Tags, fluffy robin, pack of 6 Who doesn't love a robin at Christmas time! 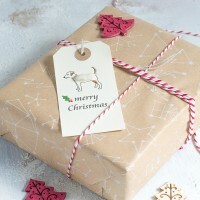 Pop some..
Christmas Gift Tags, fluffy westies, pack of 6 Gift tags finish off your presents perfectly, so for ..
Christmas Gift Tags, Gnome, pack of 4 For a perfect finish to your presents or they are..
Christmas Gift Tags, Reindeer under the mistletoe , pack of 4 For a perfect finish ..
Christmas Gift Tags, Robin under the Mistletoe, pack of 4 For a perfect finish to your ..
Christmas Gift Tags, woolly sheep, pack of 6 Gift tags finish off your presents perfectly, so for yo..
Christmas Gift Tags, woolly sheep/deer, pack of 4 For a perfect finish to your pre..
Christmas Gift Tags, Duck Skating, pack of 4 For a perfect finish to your presents, add..
Christmas Robin Wrapping Paper Our festive Christmas robin wrapping paper is a stylish contempor..
Fluffy Red Robin Christmas Gift Bag Our fluffy red robin Christmas gift bag makes an adorable Chr..
Fluffy red robin Christmas gift bag, tiny - pack of 6 We think these tiny gift bags are fab - per.. 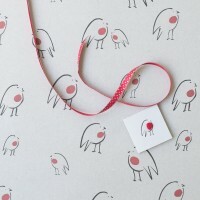 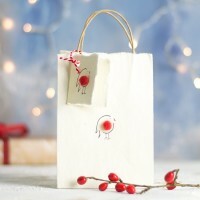 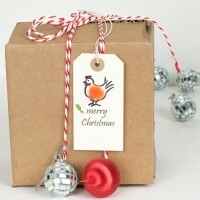 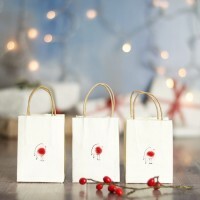 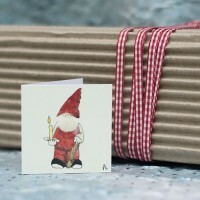 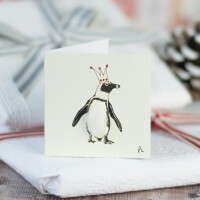 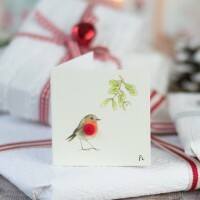 Gift Bag & Fluffy Red Robin These gift bags are a gorgeous finishing touch for a Christmas gift - th..